Genesis 12:14-17 speaks of camels in Egypt; contextually, camels were among the gifts the Pharaoh gave to Abraham (Abram). Later, when it was time to procure a wife for Isaac, Abraham’s servant took 10 camels for that journey to Mesopotamia (Gen. 24:10; cf. vv. 11-63). As Jacob labored for his father-in-law Laban, he acquired camels as part of his wages (Gen. 30:43). The caravan of Ishmaelite/Midianite traders passing through Canaan en route to Egypt had camels (Gen. 37:25). Joseph‘s brothers sold him to these merchants, who then sold him to Potiphar, an officer of Pharaoh (Gen. 37:36). 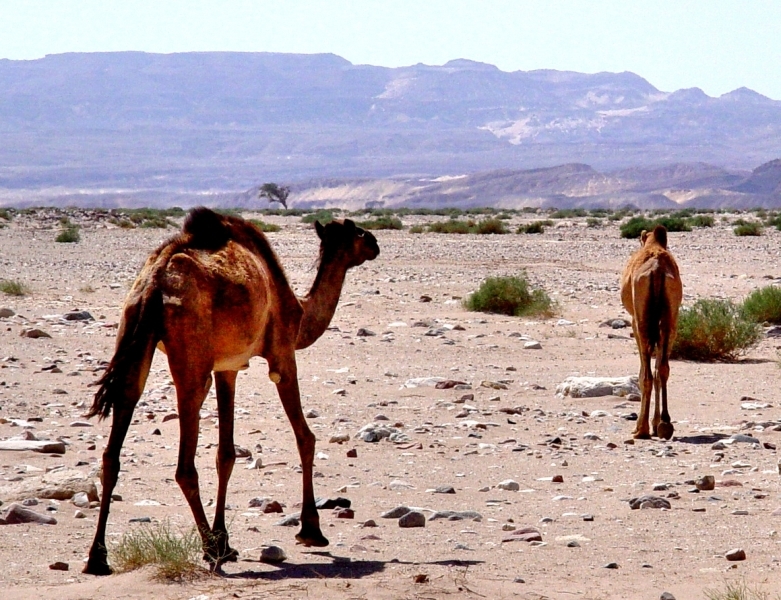 Camels in Sinai Desert. Photo ©Leon Mauldin. I photographed the above camels in the Sinai. They were pretty scrawny looking, and weren’t showing their best side. But it brings to mind these numerous biblical references to camels, from the times of the patriarchs onward. The (healthier) camel below was in Turkey. 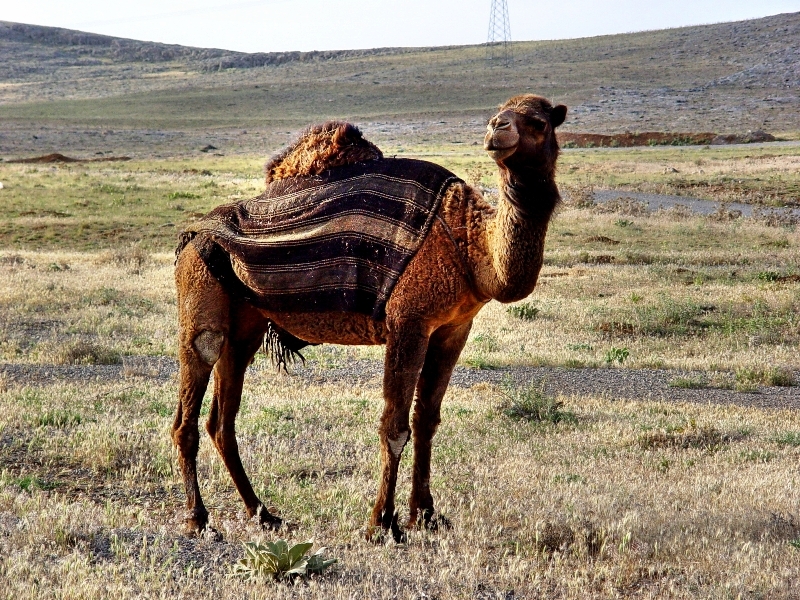 Camel in Turkey near biblical Lystra. Photo ©Leon Mauldin. This is not only the position of skeptics, but also that of some so-called friends of the Bible, those who would profess to be believers. For example, The Reader’s Digest publication, The Bible Through the Ages, in the chapter, “The World of the Patriarchs,” says, “Clans traveled on foot and by donkey (camels were not domesticated until about 1200 B.C. ), and the need to stay close to water restricted the distances they were able to travel at any given time” (p.20). So, in one sweep, this “biblical” reference book, written on the popular level, dismisses all of the Genesis references to the camel as being unhistorical! Is there an answer? K.A. Kitchen, Professor Emeritus of the University of Liverpool’s School of Archaeology, Classics, and Egyptology states that the claim that references to camels “in the patriarchal narratives are anachronistic is flatly contradicted by the available evidence to the contrary.” Unfortunately such “available evidence” is conveniently ignored. In my upcoming post I wanted to consider some of that evidence, as well as some other related considerations. You are currently browsing the Leon's Message Board blog archives for the day Friday, September 17th, 2010.